Larry’s latest tale begins in the family’s car with a trailer hitched to the back-they’re off on a road trip to the Lone Star State! 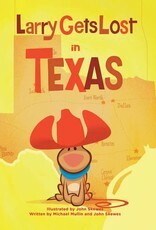 Follow Larry as he gets separated from his best friend Pete and searches for him all over Texas. 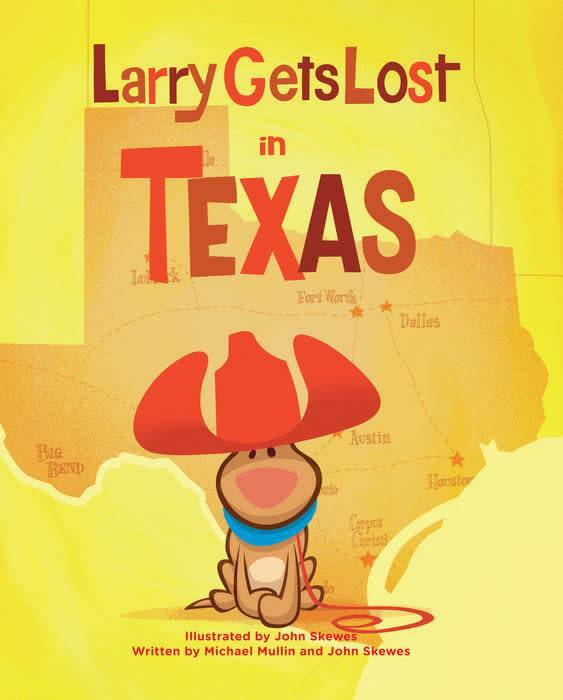 Larry journeys through the major cities-Houston, Dallas, San Antonio, Fort Worth, El Paso, Amarillo, and Corpus Christi-where he meets armadillos and snakes and even hitches a ride from a horse in a trailer. He also visits the Cadillac Ranch sculpture, the NASA space station, and a rodeo before passing by pump jacks and the famous aircraft carrier, Saturn V. After stopping by the USS Lexington, Larry finally ends up at the Texas State Fair. But will he ever find Pete?